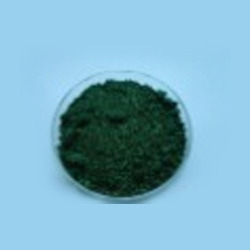 Our product range includes a wide range of direct green dyes -104. From the family of direct dye, Direct Green Dyes -104 offered finds use as Leather Dyestuffs, Food Dyestuffs, Ink Dyestuffs, Paint Dyestuffs and others with availability in minimum quantities of 500 Kilogram and dye purity levels of 100.00%. These quality dyes find application directly to substrate in alkaline bath and support gaining full shades on cotton, rayon, silk and wool fiber material. Further, these direct dyes also provide for bright color shades and after making the fiber undergo after treatments, it also helps in improving wash fastness of direct dyes.